I am very honoured to be awarded a Lifetime Achievement Award by the International Paleolimnological Association (IPA). I was delighted when two of my teachers and mentors, Frank Oldfield (2010) and Herb Wright (2010), were awarded Lifetime Achievement Awards in 2009 at the Guadalajara IPA symposium—I never thought I would be following them 3 years later in Glasgow. In accepting this Award, I must first make a confession. Despite becoming a Quaternary pollen analyst and vegetation historian in 1961, I did not do any real palaeolimnology until 1986, although I had paddled a little in Crose Mere and Diss Mere and studied their fascinating palaeolimnology in 1976 and 1979. I have never counted a diatom, cladoceran, chironomid, or chrysophyte cyst in my life. I only know the taxa as eight-character codes (e.g. TA003A, Cory amb) for variables in computer programs such as CANOCO, C2, WACALIB, etc. 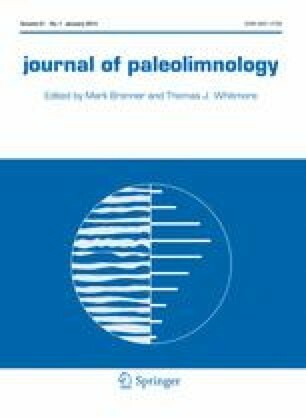 The author was the recipient of a ‘Lifetime Achievement Award’ presented by the International Paleolimnology Association (IPA) in Glasgow, UK on 22 August 2012. I am immensely grateful to Rick Battarbee, Ingemar Renberg, and John Smol who encouraged me to get involved in palaeolimnology in about 1987, to Cajo ter Braak, Steve Juggins, and John Line who together helped to develop quantitative palaeolimnology, to Rick Battarbee, Hilary Birks, Mark Brenner, John Smol, and Tom Whitmore for their helpful comments on this manuscript, to Cathy Jenks for her invaluable help in preparing this manuscript, to Cajo ter Braak for making the Scopus ‘wordle,’ and to Hilary Birks for her continual help and support and considerable tolerance of my diverse scientific activities.